Bookends: Very Wicked Things by Ilsa Madden-Mills ~ Cover Reveal!!! Very Wicked Things by Ilsa Madden-Mills ~ Cover Reveal!!! Ballerina Dovey Beckham is a scholarship student at Briarcrest Academy, determined to prove she’s more than just a girl with the wrong pedigree. She does whatever it takes to succeed in her endgame, even if it means surrendering her body…but never her heart. Until the day she meets him, and he rips apart all her well-laid plans. Suddenly, the girl everyone thought unbreakable might just shatter. Cuba “Hollywood” Hudson is rich, spoiled, and a star football player. With his fast cars and superficial girlfriends, he lives the high-life, hiding his secrets from the world. Until the day he meets her, and she offers him something he’s never tasted…love. But once in a lifetime kind of love doesn’t come easy. When trust crumbles and doubts creep in, both will have to decide to either love or let go…forever. 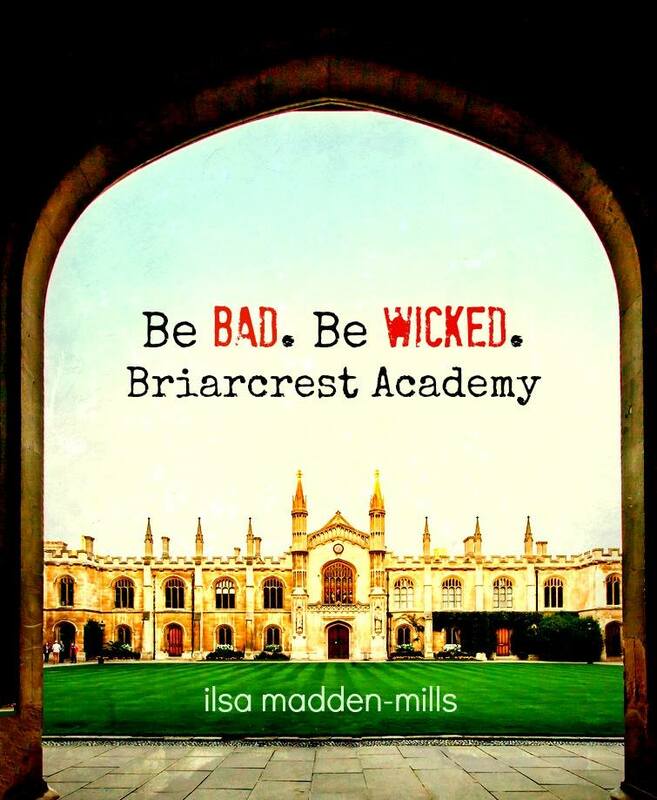 Welcome to Briarcrest Academy, where sometimes, only the wicked survive. The room closed in, making me sweat. I hadn’t talked to her in over a year, and now here we were, face-to-face. Two ex-lovers who hated each other. I had to get away from her. I ignored her and tried to get Weinstein’s attention, to let her know she could flunk me for all I cared. “Before you go, tell me one thing, and I’ll make sure we aren’t partners in this class. You’ll be free of me,” she said. “What?” I asked, my voice going all raspy, blocking all the words I wanted to say. They weren’t things she ever needed to hear. I tightened my fists and pressed them against my thighs, swearing to myself I wasn’t responding to her bait. I swore. She was a dangerous game I didn’t need to play. “I trusted you,” she whispered, all her anger seeming to be gone. The unsteadiness of her voice undid me, sent me right over the edge of that precarious cliff I’d been hanging on to by the skin of my teeth. Yeah, she hadn’t been the only one who’d trusted me. I’d ruined them all. Every last one. Dark thoughts assaulted me, of the blood I had on my hands. Snap! My pencil broke and small pieces flew across my desk and into the empty space between us. I wanted to pummel my desk until my fists bled. I wanted to punch a hole through the wall, the floor, my face. Everything was my fault. Just mine. She’d been collateral damage, the kind that breaks everyone involved. And I was sorry for it, but sometimes you do what hurts because it’s for the best. But she was my kryptonite, leaving me no option but to hurt her. Again. Ilsa Madden-Mills is a loving wife and mother, a loyal friend, and a teacher. When all that is done, she writes. Obsessively. She spent several years teaching high school English, but now hangs out at home with two small kids, a neurotic cat, and her Viking husband. She collects magnets and rarely cooks except to bake her own pretzels. When she’s not typing away at a story, you can find her drinking too much Diet Coke, jamming out to Pink, or checking on her carefully maintained chocolate stash. She loves to hear from fans and fellow authors. Very Wicked Things is Book 2 of the BA Series. Very Bad Things is currently available on Amazon, Barnes & Noble, and iBooks. Want to read the number one new adult romance Very Bad Things first?